When device with the name like female hygiene supplement came out last year and geeks insisted on shoving tent poles into cement cracks on sidewalks eight hours before the fruit store opened, I was still MEH-ing about the necessity of such devices – as lieutenant of the 21st Century sceptics, why it’s my duty. Email, movies, music on the go, yay, like I need another thing to bother me from concentrating on walking on my super fashionista 5 inch heels that lets me breath the same airspace as the rollerbladers. All I thought was the second generation coming out with phone functions and chuckled at the eventual image of people holding up a huge tablet on their cheeks to call friends and smearing foundation on the screen. Yes yes, that’s the extent of my imagination. Dinosaurs evolved into Pokemon, same thing. I received an email from an ASUS representative a few weeks ago that introduced the new ASUS transformer and asked if I’d like one. Koreans say you go bald when you like free stuff, I guess I should invest in a good wig soon. I had no idea, when I said yes with the same ‘meh ok’ attitude, that I’ll be carrying this buster around EVERYWHERE. 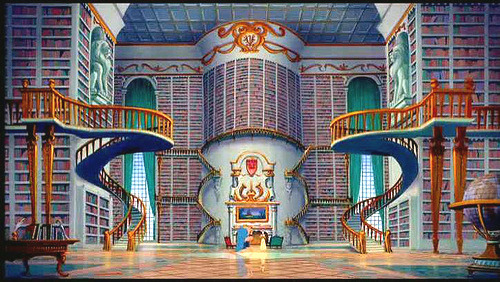 I still swear by paperback and would someday like to own a Beauty & the Beast-esque library, but the fact that I didn’t need a mediocre night-light to read, or that I can pop in an earplug while reading and set the morning alarm when my eyes blur out won me over completely. The best thing about it is that the system is Android, I know Graphic Designer are all about Apple and stuff but I liked Apple before the tree conceived the fruit and now I’ve grown out of it. What I know for sure is that gadgets like this will be taking us into the next generation of interaction and augmented reality – it’s really worth an investment if only for Angry Birds in bed.